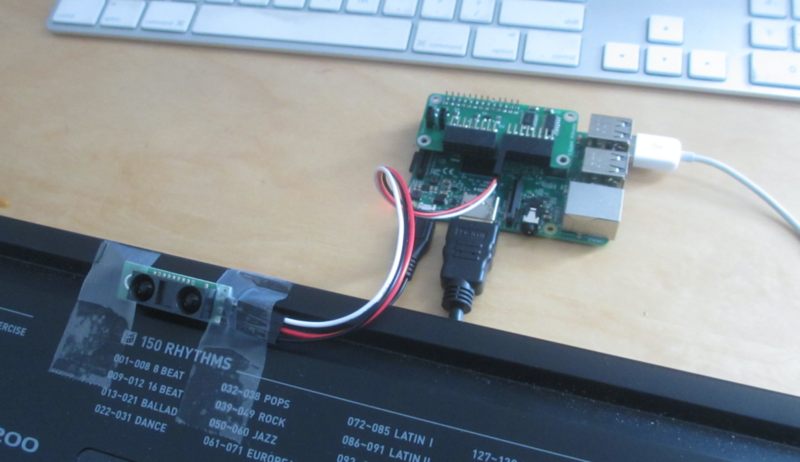 Using the Raspberry Pi plugged into an external monitor, PiShield and one or two simple sensors, we can build an automatic page tuner for playing music. Technical details and setup instructions. In this example we’re using the desktop environment with the IDLE Python IDE. The Python code makes use of keyboard emulation, similar to the minecraft example with some modifications. The script is available in the our Python examples repo (recently updated, so if you’re using our system image, its not yet available.). You can access just the script itself directly here. And that’s it! You may want to tweak the threshold values to work with your particular setup and head movements. For convenience the script will print out the sensor values in the console so you can tune it to match your use case.